“We see modern materials informing design thinking in a broad range of our economy, including wind energy, medical technologies, aerospace, automotive, boats, and now increasingly both residential and commercial construction. Some of this work is extraordinarily technical and very much craft-oriented. The series will culminate on Friday, August 15th with an engaging roundtable discussion for the larger public audience. The series participants will be joined by special guest Ping Fu, 3D printing entrepreneur, for a conversation moderated by Richard Saul Wurman -- American architect and graphic designer who has written over 80 books and founded the TED conference. Event sponsor Vintry Fine Wines, one of New York’s most exclusive wine merchants will conduct a wine tasting and offer light fare following the discussion. Tickets for the roundtable, which cost $25 each, can be purchased in advance. Dates are subject to change. For more information or to reserve your tour ticket, please contact Loriana De Crescenzo, Director of Philanthropy, at ldecrescenzo@iyrs.edu or 401-848-5777 x 204. Clear Carbon & Components specializes in creating feature components for other manufacturers and wholesale distributors. Clear Carbon and Components staff and shop are equipped to take composite projects through all phases from design through commercial production. Clear Carbon’s engineering department is equipped with SolidWorks design software integrated with Mastercam machining software to create complex patterns and molds directly from 3D digital models. 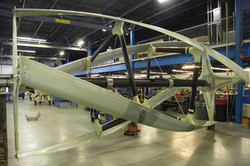 C3‘s crew of fabricators includes expert composite techs with decades of experience. TPI Composites is a global provider of structural composites products for the wind energy, military, and transportation markets. Our advanced composites manufacturing technology allows us to build near aerospace grade parts at industrial prices. Our products excel where high strength, light weight and durability are required. TPI has over five decades of innovation and expertise in manufacturing large-scale composite structures of highest quality at a competitive total delivered cost to our customers. Ping Fu is a Chinese-American entrepreneur. She is the co-founder of 3D software development company Geomagic, and was its chief executive officer until February 2013 when the company was acquired by 3D Systems Inc. As of February 2013; she is the vice president and chief strategy officer at 3D Systems. Fu co-founded Geomagic in 1997 and has been recognized for her achievements with the company through a number of awards, including being named Inc. magazine’s 2005 “Entrepreneur of the Year”. In 2013, she published her memoir, Bend, Not Break, co-authored with MeiMei Fox.